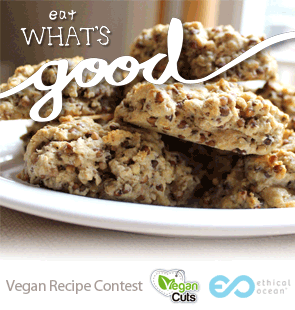 The Ethical Ocean and Vegan Cuts Vegan Recipe Challenge recipe contest is live!!! 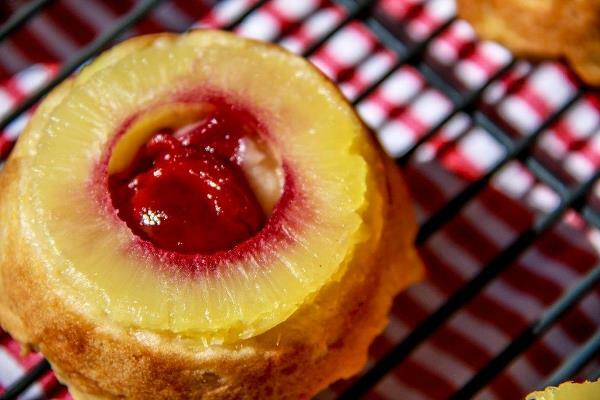 25 of the most talented vegan culinary masterminds have submitted recipes for the contest, and now we need you to pick your favorite (I’d love your vote for my Mini Pineapple Upside Down Cakes! Timing: The contest kicks off at 9am EST on Friday April 26 and ends at 11:59pm EST on May 17. Note: While you must sign-up to Ethical Ocean to vote; you can choose to unsubscribe to emails at any time. Good luck on the contest! I’ve entered as well, but I forgot when voting started so I never got a chance to promote it or ask for votes. No hope of winning for me now, but it was nice to be included.